We just had to bring them back! 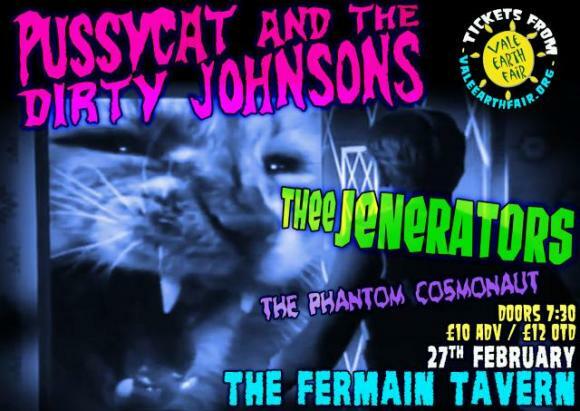 Pussycat and the Dirty Johnsons return to Guernsey for a full on night out at the Tav. Support comes from Thee Jenerators and The Phantom Cosmonaut. Doors open at 7:30pm and tickets are on sale now from our tickets page for £10 (£12 on the door). Over 18s only.